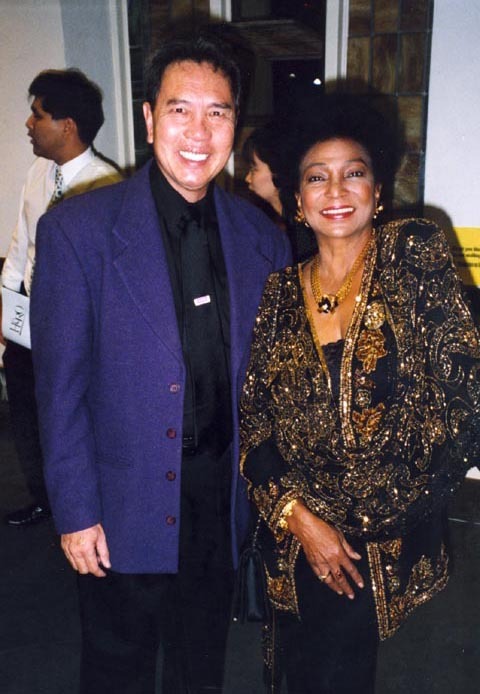 The Los Angeles Conservancy's annual Last Remaining Seats series -- presenting classic films on the screens of downtown LA's restored movie palaces -- showed "Shanghai Express," starring Marlene Dietrich and Anna May Wong, at the Orpheum Theatre July 7, 2004. 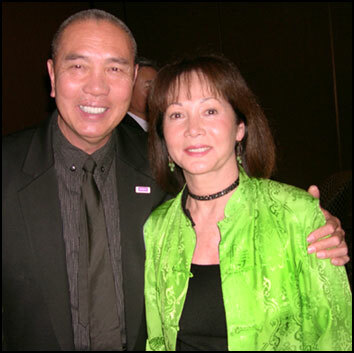 At the screening, the Los Angeles City Council issued a proclamation honoring the late Miss Wong, who was the very first Chinese American movie star back in the 1930's and 40's. The proclamation was presented to the Chinese Historical Society of Southern California, and was accepted by CHSSC board member Jack Ong. 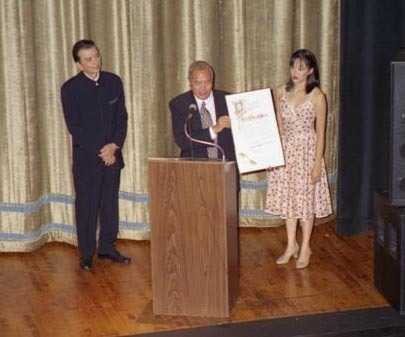 Making the presentation: actor James Hong and his daughter, actress April Hong, who were the evening's emcees. 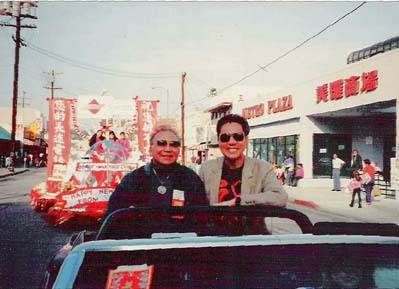 With Hollywood agent Guy Lee in the Golden Dragon Parade in Los Angeles, celebrating the Chinese New Year of 1992, the Year of the Rooster. 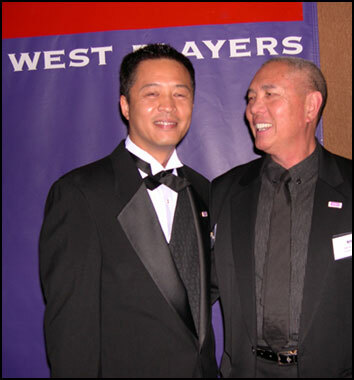 Guy Lee's talent agency was the nation's top agency for Asian American actors until 1997. "She Made Me Do It!" 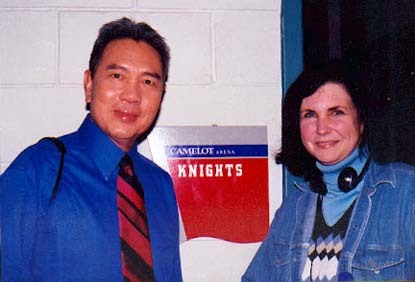 That's what Jack insists happened after his hour-long meeting with Miss America 2001, Angela Perez Baraquio of Hawaii, whose personal interests included human rights activities. 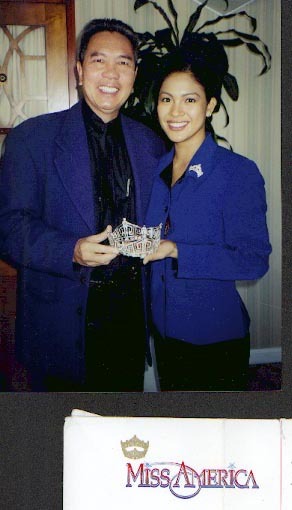 Pageant officials made sure she got together with the Executive Director of The Dr. Haing S. Ngor Foundation. Says Jack: "I knew she had a full day of meetings, and we'd already gone on much longer than we'd planned, so I was making a gracious exit when Angela goes, 'Don't you even want to see this?' and produces a beautiful black box. Inside is her crown. We take photos. Again I say goodbye. This time she says, 'I can't believe you don't want to try it on. Everyone does!' Hey, what could I do?" Jack was in 7th heaven in his first professional acting gig. Actually, the location is dead of winter in Lake Louise, Banff, Canada and the Kananaskis Mountains. 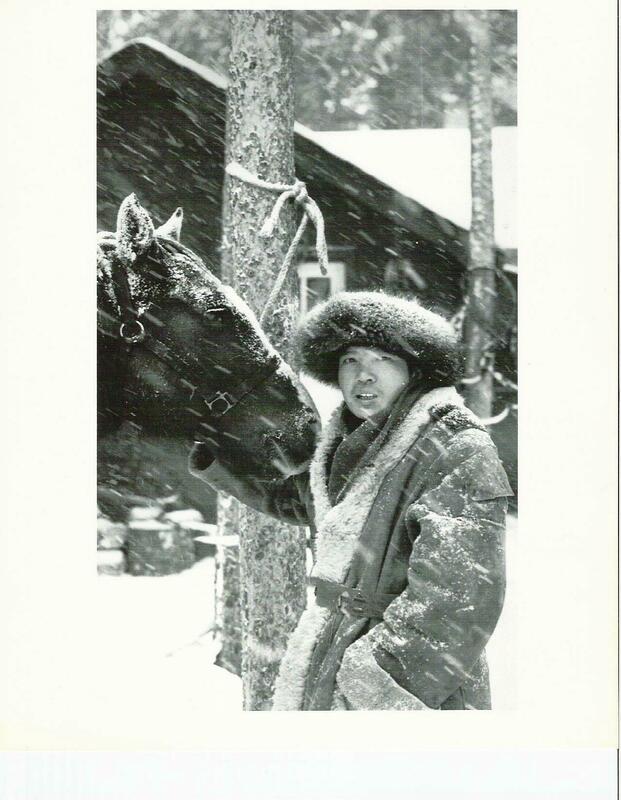 This was his very first movie, "When the North Wind Blows," a title changed from everyone's much preferred original title, "Snow Tigers"! Jack's costumes included this coat previously worn by Sally Kellerman in the flop musical version of "Lost Horizon"...which Jack, along with about 12 other people in the world, actually saw. 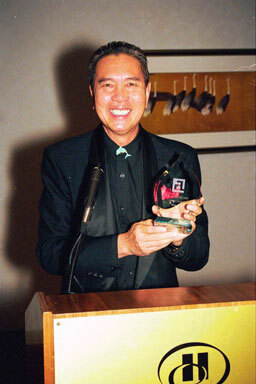 This photo, taken by "Snow Tigers" co-star Sander Johnson, was used in Jack's first actor's photo composite. Sander and Jack are still good pals, and Sander is now officially more Chinese than Jack!